Ferdinand Magellan (a Portuguese sea captain sailing for Spain) had an important goal when he left the town of Seville on the 10th of August, 1519: Find a westward route to the Spice (Maluku) Islands. He did not personally achieve that goal, but his crew (led by Juan Sebastian Elcano) did. Despite a grossly inaccurate map, and ubelievably wretched conditions aboard ship, remnants of Magellan's crew circumnavigated the world in a ship called Victoria. Their expedition lasted about three years. Magellan (1480-1521) never planned to sail around the globe. His assignment—to reach the Spice Islands, also known as the Moluccas (or Maluku Islands), thereby proving they belonged to Spain—already had more-than-enough challenges. One of the most significant problems was to find a way (safer than sailing round Cape Horn) to reach the Pacific (via the Atlantic) Ocean. 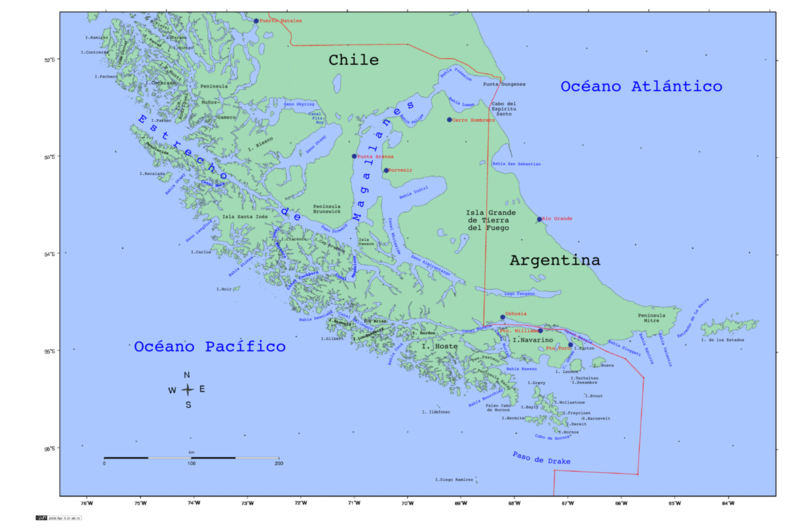 In October of 1520, he and his men found such a passageway—between Chile and Tierra del Fuego—known today as the Strait (or Straits) of Magellan. 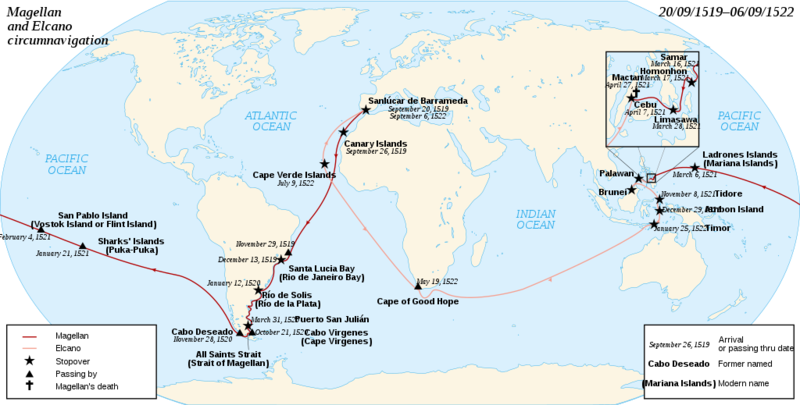 A month later—on the 28th of November, 1520—Magellan's expedition reached the Pacific Ocean. Because the water seemed so calm (especially compared to the Atlantic), Magellan gave the vast body of water a name which means "peaceful sea." Five ships originally began the expedition—Trinidad, San Antonio, Concepción, Victoria and Santiago—but only Victoria made it back to the starting point. Clip from "Voyages of Discovery: Circumnavigation," produced for the BBC. Paul Rose (former ten-year base commander of the British Rothera research station in Antarctica) presents the unimaginable story of Ferdinand Magellan and his crew (as they attempt to find a westward passage to the Spice Islands), in "Voyages of Discovery - Circumnavigation." Directed by Sean Smith; written by Chris Bould. Clip online, courtesy BBC. Copyright, BBC, all rights reserved. Clip provided here as fair use for educational purposes and to acquaint new viewers with the documentary. Bos, Carole "Magellan and his Voyage of Discovery" AwesomeStories.com. Oct 30, 2013. Apr 19, 2019.